A new loyalty card scheme for the Camborne, Pool and Redruth area is seeing early success since being launched just two weeks ago, with more than 45 businesses already signed-up to the initiative. The ‘Heart of Cornwall’ loyalty cards offer shoppers discounts off their total spend and is available free of charge at participating retailers and other outlets across Camborne, Pool and Redruth. Last Saturday Redruth’s town crier, Alan Jewell helped promote the card to shoppers in the town along with the Mayor, Barbara Ellenbroek and Matt Powell, business growth manager at CPR Regeneration. More than 150 loyalty cards were handed out to customers throughout the day and businesses in the town were offering additional promotions to mark the official launch of the Heart of Cornwall card. 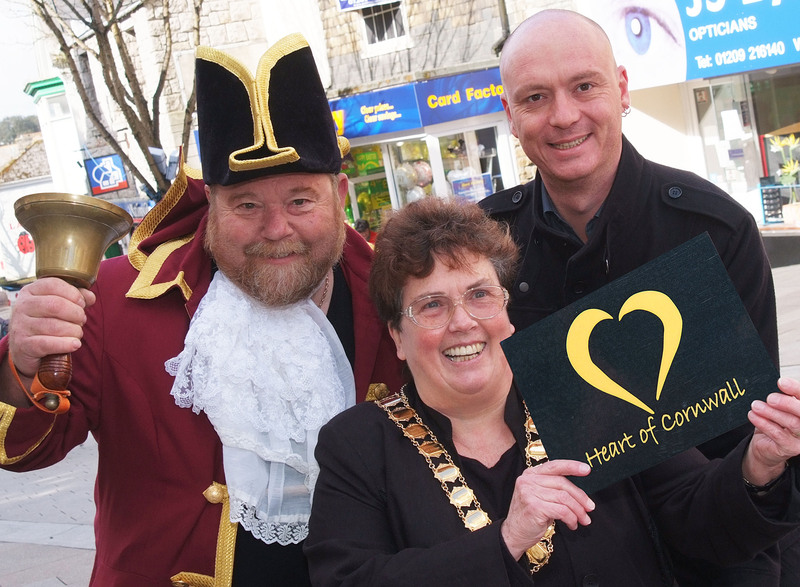 Powell said: “The aim of Saturday was to get out and shout about the Heart of Cornwall card to shoppers and businesses and I’m delighted with the response we received.